A healthy spattering of locals adorned the outside drinking area under the veranda and the thirsty travellers were made to feel welcome immediately on entering the place, with plenty of ‘g’day mates’ from both the punters and the staff. Walking inside is like walking into the mid 50’s (so I am told – I was not alive then) with a hint of aforementioned art deco styling. This is a good chance that not much has changed inside with the exception of the stock and the photo wall. 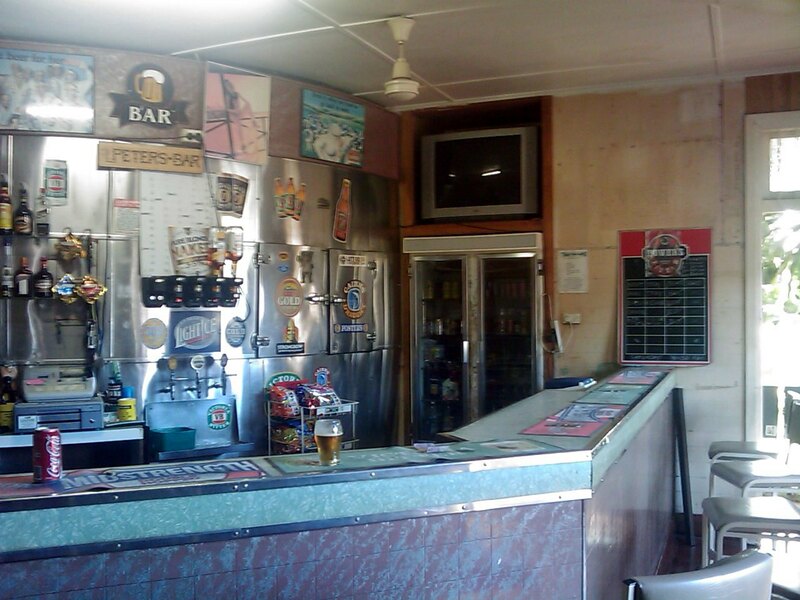 The curved fridge behind the bar is definitely a feature as are the traditional swing handle taps. It was also great to see the 50’s style laminates on the bar, held down with stainless steel and aluminium strips – just like grannies kitchen. A classic old Wurlitzer Juke box resides in the lounge – facade only however – it was stacked with CD’s rather than old singles. The publican was friendly and attentive, and could certainly pull and mean beer. The beer was crisp and cold and tasted fine, despite not being my favourite brand – being the driver on this review, I had to stay with the lower alcohol varieties. 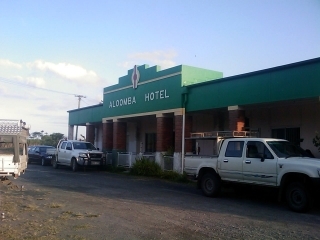 The current hotel was built in the 50’s and is the third such building to occupy the site – the previous two having burned down. Strangely, the veranda area is fenced off and you have to access the pub by use of raised kiddy locks on the access gates. Was told that this was due to the publicans son having the run of the place and was a means of stopping him escaping from the premises. 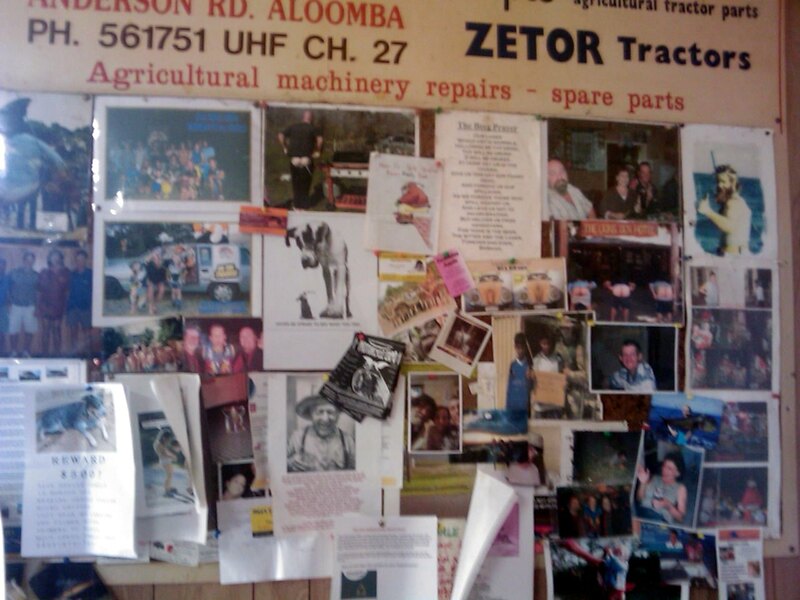 This was twenty years ago, sort of demonstrating how not much changes at the Aloomba pub. I’ll be back! 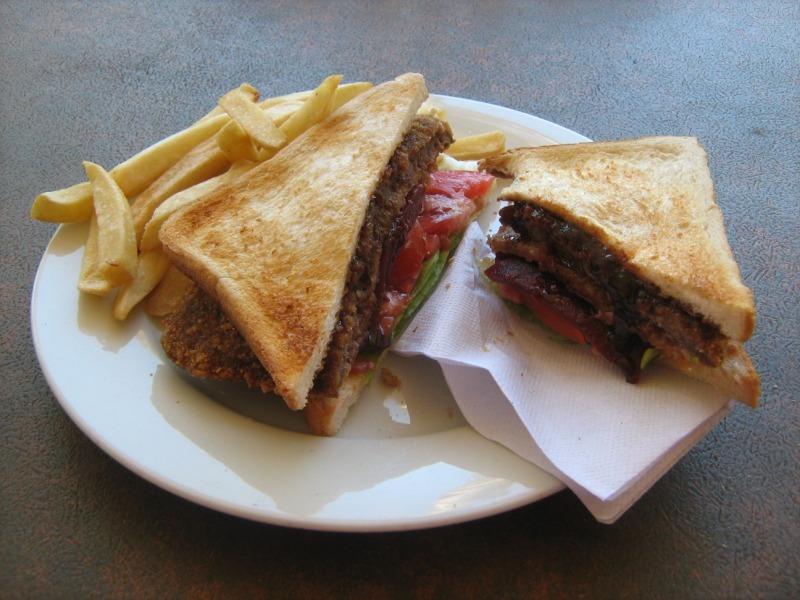 This entry was posted on 9 September, 2009, 3:29 pm and is filed under Pubs, Queensland. You can follow any responses to this entry through RSS 2.0. You can skip to the end and leave a response. Pinging is currently not allowed. A revisit on Saturday 15 Feb 2014, reveals not a lot has changed at the Aloomba Hotel. 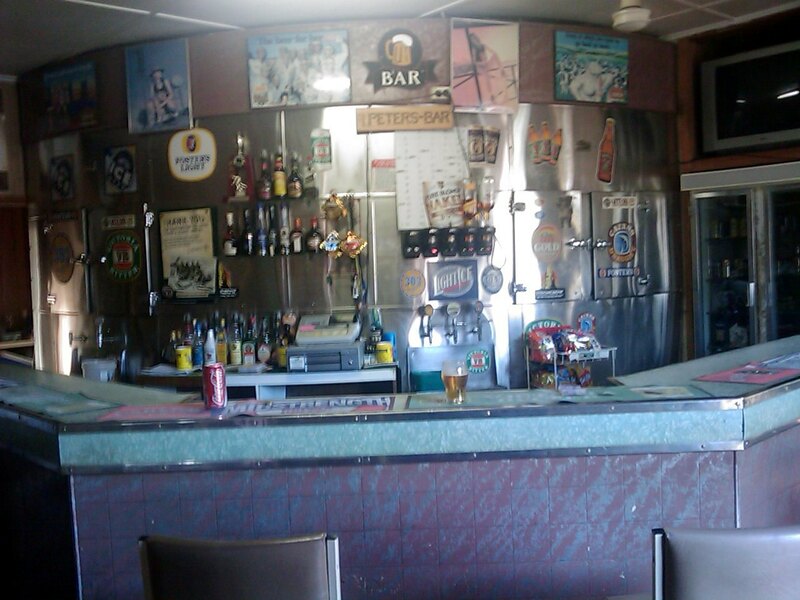 The kiddie fences have gone,but the random groove paneling in the lounge bar remains, as does the BP servo-esque facade, and the lovely curved fridge. On this visit, a splendid Rolls Royce sedan graced the otherwise empty carpark. At the time of the revisit, there were a handful of regulars at the bar chewing the fat on global politics (as you do in a country pub). There really isn’t a lot that has changed since our first visit back in 2009…. the beer was cold and tasty, and well, thats about it. But is there any more that should be expected?